2nd Birthday Party Themes: the Decor, the Food, the Cake and More! From the cake to the decor, no detail of these 2nd birthday party ideas has been overlooked. Major milestone alert! In the past 24 months, baby has likely learned to crawl, walk and talk—and you’ve survived it all with your sanity intact. Definitely reason to celebrate. But plotting a toddler birthday bash for your soon-to-be 2 year old can overwhelm even the most organized parent. Take a deep breath. With these 2nd birthday party ideas and tips from Seri Kertzner, owner of the New York City-based planning group Little Miss Party Planner, you can pull off a memorable, painless party for your 2 year old—and have some grownup fun as well. “My favorites are a rainbow (all the colors! ), a farm or a rubber ducky party, but consider your child’s interests,” Kertzner says. Make your life easier by picking a pre-packaged concept like Disney, Sesame Street or your toddler’s current favorite character. But if you’re crafty, why not try a DIY theme. Let’s face it: There’s always a chance a tantrum will break out in a room full of toddlers. Prevent meltdowns by planning plenty of activities to keep kids busy. Better yet, hire someone to help. It’s best to find an entertainer your child is familiar with—think a band member from your child’s music class or a storyteller from the nearby library. Ask parent friends for vetted recommendations. And if you’re looking for entertainment, you can find and book a range of performers (magicians, musicians, face painters—you name it) through the event-planning marketplace Gigmasters. Here’s all the 2nd birthday party ideas you need to plan both a beautiful and truly memorable party for baby. It doesn’t get any sweeter than a 2nd birthday party theme starring the First Lady of Disney. When it comes to Minnie Mouse 2nd birthday parties, nothing outshines this dreamy color palette of blush and gold. This downloadable invite is available in five gorgeous color combinations and embellished with Minnie’s signature dots. It also plays up the Mickey Mouse Clubhouse’s love for computer helper Toodles. Two-dles. Get it? When throwing a Mickey or Minnie-themed birthday party, don’t fight the urge to go all out on the mouse motif. This blush-and-gold birthday banner and pink Minnie balloons are the accent pieces that add up to a big impact, and what toddler doesn’t love balloons? Disney-inspired brunch bites for a toddler’s 2nd birthday are easier than you think: bow-tie pasta (a nod to Minnie’s love of bows), unpeeled oranges with slices of kiwi pinned in for ears and—the easiest—Mickey Mouse-shaped waffles. Minnie Mouse 2nd birthday cake? Not a chance. A Minnie Mouse party calls for Minnie cupcakes, and these are especially easy. Bake chocolate cupcakes and pipe them with vanilla icing dyed blush pink. (You can also use ready-made strawberry icing.) Then pop two chocolate ear-shaped pieces on top using oversized chocolate fèves or Oreo halves—your choice. Now you have nibble-worthy cupcake bites at the ready. If your little girl needs a Minnie Mouse 2nd birthday outfit, she’ll adore this glitter-bombed tee and tutu set, complete with matching gold shoes topped with Minnie-style dotted bows. You can personalize the tee with your daughter’s name since it is her special day, after all. Mickey Mouse 2nd birthday parties can be just as fun for those who have a soft spot for Minnie’s counterpart. The difference? The color palette. Go with Mickey’s traditional red and black, or choose a gender-neutral choice, like white and gold. The gang—Mickey, Donald and Goofy—is all here on this Mickey Mouse 2nd birthday party invitation, featuring step-and-repeat Mickey silhouette motifs. Bonus: Once it’s customized, you can have the invitation printed by Cindy’s Event Creations or download it at home (and save a on printing costs). When it comes to Mickey-inspired 2nd birthday party decor, there is no such thing as cuteness overload. Take a moment to appreciate these ear-accented plates and polka dot-embellished red cups. Another Mickey must-have? These adorable Mickey and Minnie cupcake toppers, shaped like the No. 2. A summer barbecue makes it easy to grill and chill for toddlers and adults. Hamburgers with buns cut into the shape of Mickey Mouse heads and a “Hot Diggity Dog!” station featuring hot dogs or Italian sausages are usually crowd pleasers for all ages. While a big cake is always a showstopper—see plenty of cute options on Pinterest—what 2 year old can resist these Disney Family Mickey “pie pops”? Think Pop Tart on a stick. (Get the recipe here. The Mouse of the hour and his BFF, Pluto, on one adorable overall is a 2nd birthday outfit sure to please your kid—and make for memorable photos. With a devotion to honey that rivals only his love for his friends, that “tubby little cubby all stuffed with fluff” will forever be a beloved mascot at kids’ birthday parties. You can stick with the classic illustrations or opt for the modern Disney version. Either way, these 2nd birthday party ideas are full of cuteness! These gorgeous Etsy invites feature illustrations reminiscent of the original 1920s Pooh books. Handmade to order (it takes two to three days to customize), you’ll receive a PDF version of your digital invitation to print on cardstock of your choice at home. No party’s complete without a birthday banner, and here are two Pooh options that’ll do quite nicely. The first, made of burlap, has Pooh’s head as the stand-in for the “o” in the word “two.” Or opt for this honey pot version featuring bright silhouettes of the 100 Acre Wood gang. Another easy way to decorate? With books! Pooh is a literary icon, after all. Bake a cake (or cupcake platter), and pop this on as the finishing touch: a vintage Pooh cake topper, complete with Christopher Robin, Piglet and Tigger, holding up a beribboned happy birthday sign. This sassy Pooh two-piece is the perfect ensemble for your toddler girl, because when Pooh winks, the whole world winks back. For boys, we love the sentiment behind this two-piece “best friends” set starring Winnie and his bouncy BFF, Tigger. Every character in the Sesame Street family is adored, but one always gets extra love: Elmo. The fuzzy red monster is a ball of enthusiasm—a perfect mascot given you’re about to host, oh, 20 or so enthusiastic toddlers. While Elmo may be the star attraction at your 2nd birthday party, let Elmo’s friends—Big Bird, Zoë, Cookie Monster, Oscar the Grouch and the Count—make guest appearances at your celebration to liven up everything from your decor to party supplies. The sweetest element of these 2nd birthday party invitations? Adding a dramatic black-and-white picture of the guest of honor, your little boy or girl, to complement the rainbow bright invitation. No monster mash is complete without a set of Elmo footprints that can lead little partygoers to the front steps of your home or runs through your house to direct kids to the activities. You can also slip these little Elmo and No. 2 decorations into mason jars to create instant table accents. Finally, this personalized banner, featuring everyone’s favorite Sesame Street characters, can turn an ordinary wall into a showstopping centerpiece of your 2nd birthday celebration. An easy way to keep your party food on-theme? Create a lineup of red fruits (apples, strawberries, cherries, cranberries) and veggies (peppers, tomatoes) for snacking. Put out a variety of dippable treats, like chicken nuggets and mozzarella sticks and plenty of ketchup. And, of course, red fruit punch for the littles and a spiked grown-ups only version. While an Elmo 2nd birthday cake would be the obvious choice, be bold and turn the spotlight on another Sesame Street star: Cookie Monster. A heaping plate full of chocolate chip cookies, bright blue icing and two big googly eyes later, you have a Cookie Monster “cake.” Nom, nom, nom! A party should be filled with lots of laughter, which is why this ruffled LOL Elmo tee gets our vote for 2nd birthday party outfit. The gold shimmer will add a bit of birthday sparkle to your daughter’s ensemble. But if your child also has a soft spot for the other inhabitants of Sesame Street, this one’s a winner for boys: a Cookie Monster tee, complete with the cookie connoisseur and a mischievous thought bubble. Doc McStuffins, the little Disney star who plays veterinarian to her school of stuffed animals, is #goals. But don’t worry, pulling off this theme doesn’t require a degree in party planning with these Doc McStuffins 2nd birthday party ideas. Zazzle’s 2nd birthday party invitation features both Doc and her furry friend, ballet-loving lamb Lambie, along with a soft Band-Aid background. Definitely on theme! Doctor’s orders: birthday party decor that delivers a big dose of TLC, like these Doc illustrated labels to wrap bottles of “medicine” (strawberry milkshakes for penicillin), glittery bandage-emblazoned pinwheel centerpieces and a game of Pin the Bandage on the Lambie. A spoonful of sugar will definitely make the medicine go down with little party guests. Marshmallows are the perfect stand-in for cotton balls. M&Ms make colorful pills. Gummy bears double as chewable vitamins. And offer healthy sweets as well, like fruit (such as watermelon, cantaloupe, kiwi) cut out in the shape of hearts. A purple-frosted cake finished off with a Doc McStuffins 2nd birthday party cake topper personalized with your doctor-in-training’s name is a sweet finish to your celebration. No Doc-themed 2nd birthday party is complete without the guest of honor’s outfit: a Doc McStuffin lab coat and a stethoscope. Yeehaw! If you’ve got a cowboy or cowgirl in the house—or, perhaps more specifically, a Woody or Jessie enthusiast—the barnyard theme is the way to go. If you want to splurge, you can even add a petting zoo. If you’re hosting a barnyard 2nd birthday bash, you need a farm-tastic invitation. This one features a rooster, a chicken, a horse and a pig, all in front of (or on top of!) a big red barn. Among your barnyard 2nd birthday party supplies, you’ll want these animal head visors (an easy way for kids to dress up), animal party lanterns, which can be hung from tree branches and clotheslines, and critter centerpieces, each with a barnyard that reads 2. Add a few gingham tablecloths, and you’ll be ready to go. Barnyard birthdays are filled with a long list of pun-ny foods. “Bales of hay” (ie, Rice Krispie treats), pigs (in a blanket), deviled eggs in the “chicken coop” (chicken nuggets work here too), goldfish (as fish, naturally) and a big veggie platter, which can act as the “farm produce.” If you want to get a little more whimsical, you can also get animal-shaped cookie cutters to slice fruit into barn animal shapes. (The bigger, the better—watermelon and pineapple work great here. While these sunflower cupcakes are completely charming, one up them on the dessert front: chocolate “carrots,” which are strawberries dipped in orange-dyed white chocolate and presented in a crate of “dirt” made out of crushed Oreo pieces. If you’re hosting a barnyard 2nd birthday for your little boy or girl, only one 2nd birthday outfit will do: overalls. OshKosh has an extensive collection of overalls for kids, including a sweet half-eyelet option for girls and a pair of traditional patchwork overalls for boys. If your child is really into Disney princesses, she definitely deserves to be treated like royalty on her birthday. Crowns and castles and pink lemonade by the gallon, there’s no shortage of princess 2nd birthday party ideas to give your daughter the kind of pampering fit for royalty. The Invite Every princess has a castle to her name, and this 2nd birthday party invitation offers up a grand one. Not feeling this coral? It can be swapped out for blue, gray, pink or turquoise, and you have the option to print or download the invitations to your computer. A pink banner with gold crowns? Check. Castle-adorned centerpiece pops? Check. Of course, no princess party would be complete without tiaras for all the little royals in attendance. And to complete the look, this reusable Disney Princess wall decal can make its debut at the party, then later head up to the little princess’s bedroom, if she decrees. This is a princess party, so you’ve got to commit to all-pink food. Pink popcorn, pink marshmallows, pink macarons, pink wafers, even pink M&Ms. And last but not least, pink lemonade. Tasty and pretty. While a big pink cake can certainly do, some prefer princess-pretty pink cupcakes, each one wrapped with a ribbon and topped with a little crown. You should be able to find all of these cupcake accessories, including the edible pearls, at Jo-Ann’s. Any pretty party dress will serve up princess vibes or pick this cute 2nd birthday outfit featuring girl-power Disney princess Belle (of Beauty and the Beast). It's pretty without being too precious, and perfect for everyday wear too. If you've got a little woodland fairy in your house who loves the great outdoors, then a Tinkerbell 2nd birthday party makes an ideal backyard bash—especially one with a treehouse and lanterns galore. Both Tinkerbell and your child get a place of honor on these 2nd birthday party invitations from Etsy that lets you choose from five different magical designs. If your backyard (or local park) is your backdrop, you don't need too much more to bring Pixie Hollow to life. Just small accents, like these Tinkerbell centerpieces that pop up like flowers, and a little fairy-inspired confetti to sprinkle on the tables. To make the space come alive with magic, hang paper lanterns from the trees. What do fairies eat? All things found and foraged, of course! Have the kids nibble on "logs" (pretzels accented with small sugar flowers or perhaps peanut butter mud), "mushrooms" (a small slice of apple over a marshmallow) and ladybugs (strawberries scooped out and filled with cream cheese and chocolate chips). You can also take a flower-shaped cookie cutter to fruit for an edible bouquet. Bite-sized and portable? Sounds like Tinkerbell’s kind of treat, like these “winged” cupcakes. Bake the cupcakes in the flavor of your choice, then frost with "leafy green" icing (add green food dye to vanilla icing). Embellish them with pieces of apple cut into the shape of wings. Or if you want something easier, finish them off with these sassy Tinkerbell cupcake toppers. Get your little toddler a true Tinkerbell outfit, like this tulle tutu dress, complete with ribbons and wings, if you’re committed to the fairy theme. This one, by Kiss Hug Design, is all green, but the company does offer other dresses in a variety of colors, so you can match it to your little birthday honoree’s taste. If you have a little boy or girl that’s already a team player, a sports theme is an excellent 2nd birthday party theme. Not only is it a colorful choice—think of all the jerseys—it also comes with built-in entertainment. Kids can play the featured sport, from simple ball tossing for the younger kids to soccer or baseball for the older ones. It’s on! Minted’s Game Day birthday invitations feature golf, basketball, football, hockey, baseball and soccer—basically every sport to satisfy your budding athlete. If you love your invites, Minted also does decor to match, including banners, paper party crowns and cupcake toppers that read, “Hooray!” They even have scalloped baseball stickers, which make super-cute party favors. If it’s edible and shaped like a ball, then it’s perfect for your “ concession stand.” Cheese balls or melon balls can be basketballs and marshmallows or powdered donut holes can be golf balls. You’ll need hot dogs, because what’s a good concession stand without them? (Pigs in a blanket will also do.) As for something sweet, Oreos make for perfect hockey pucks. The great thing about sports? Most of the objects are round, and you won’t go wrong with a classic round cake. (Round cake, white icing, red piping? Boom! You’ve got a baseball.) 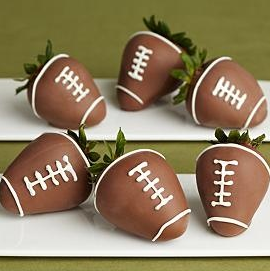 We’re also suckers for chocolate-covered strawberry footballs. Your best bet? Pop your tot into a jersey that supports the house team. Or you can have your own jerseys made, so the guest of honor can be MVP for the day. Arriving into the station, a 2nd birthday party theme your little boy will love! Thomas the Train is a modern-day hero, a little engine that values teamwork and hard work, which is a lovely message for any child to learn. This customizable Thomas the Train invite is designed to look like a train ticket—need we say more? Tell parents to have their little passengers bring their tickets as the price of admission to join your Thomas the Tank birthday party. While you can't go wrong with the standard Thomas plates and cups, this railroad treat stand, which come with cups that can be filled with the treat of your choice, and this Thomas the Train piñata will bring your train-themed party to the next level. It's not the food itself so much as the setup that will make any Thomas the Train buffet table a success. Put all of the food of your choice in little silver trays lined up behind one of your child's Thomas toys. In lieu of a cake, we love the idea of stringing a line of cupcakes together, train-style. Or you can pick up a box of vanilla Thomas the Train cookies, like this playfully iced set from Etsy. You can’t go wrong with this Thomas the Train heather-gray tee or this conductor ensemble if you want to play dress up.